to work with brokers desiring to expand their markets. your Iphone or android mobile device. Have you signed up for Bridger’s Mobile App for brokers? Sign up today and start saving up to 10 minutes per physical damage policy application. 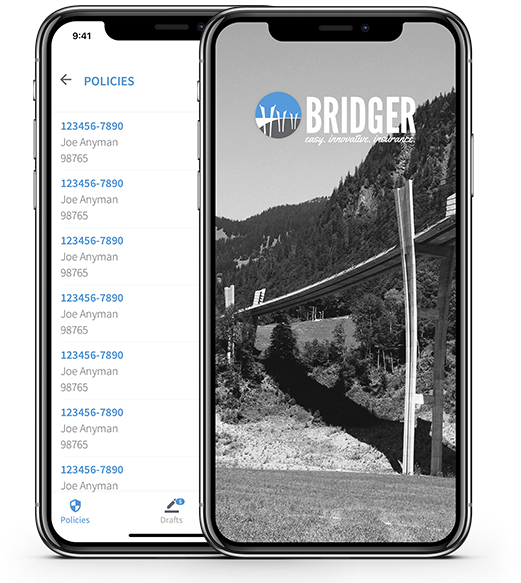 Bridger’s Mobile App has been designed for brokers so they can submit photos to our underwriters directly from their iPhone or Android device. technologies as part of its core DNA. We have been writing auto insurance in California for more than 40-years. More California brokers partner with Bridger than any of our competitors. BridgerAuto is our flagship non-standard auto program and includes comp collision and roadside assistance.